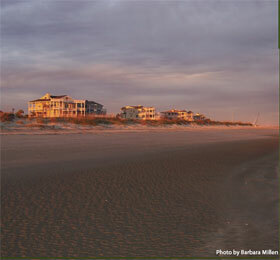 Throughout the storied history of the area, the island’s beautiful beaches have served as a peaceful getaway for Charlestonians and other residents of the Carolinas. However, few people lived there full-time until the late 1800s. Even after the automobile became the main mode of transportation for Americans, travel to the island was difficult until the Isle of Palms Connector opened in 1993. Today, the trip along the two-mile-long road that links the island community to bustling Mount Pleasant is no problem.tion offers residents almost unlimited recreational and cultural opportunities.